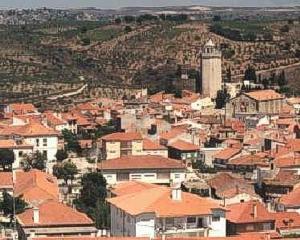 Bragança is the capital of the province os Trás-os-Montes (Behind the Hills) which, as its name suggests, lies quite isolated in the mountainous area, being Portugal´s poorest and least known region. 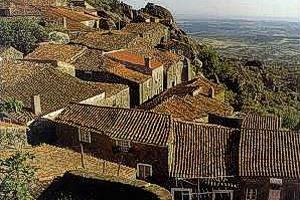 Bragança, too often forgotten due to its distance from the decision-making centres, will be impossible to forget, once visited, it offers a wild and beautiful landscape, cities and towns full of historic associations, rich regional food and a life style still marked by traditions. The region´s harsh climate, poor development and remoteness have led to the emigration of a considerable part of the population; nevertheless, the small, isolated stone villages and long stretches of moorland have a rough beauty of their own. 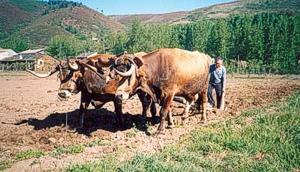 Of outstanding natural beauty is the national park of Montesinho that lies to the north of Bragança. 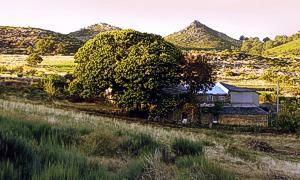 This reserve covers some 70.000 hectares of wild terrain basically unspoilt by humanity. Locally termed Terra Fria (Cold Land), the Park rises to a mountain range touching 1.481 metres. Vegetation is sparse on the upper slopes that then descend into valleys of oak, willow and alder trees. Wildlife in the shape of golden eagles, falcons, wolves, otters and wild boar still enjoy their freedom. To the south east of Bragança is the historic town of Miranda do Douro that sits above the gorge of the Rio Douro on the border of Spain. Due to its strategic position it suffered an uneasy history including an explosion of its gunpowder store in 1762. It virtually destroyed its castle and therefore its importance as a point of defense to invading armies. Further to the south is Vila Flor, a small town with an attractive atmosphere with ruins of its 13th century castle and close to another Spa, Aquas Bem Saúde. Has the largest 16 th Century Church in the whole province and near this town is the Vale do Cõa that boasts the world's largest known collection of open-air Stone Age drawings that are estimated to be about 20.000 years old. These drawings feature bulls, horses, fish and a naked man and the area can be visited with the assistance of a guide. The curious name of this town (possibly of pre-Roman origin) means literally «ash-tree of the girt sword». Several stories try to explain it: the name may come from a Visigoth called Espadacinta, from the arms of a Spanish nobleman or from a tale which states that King Dinis, while visiting the town in the 14th century, strapped his sword to an ash-tree. It is imperative to visit the Manueline Mother Church with its exquisite 16th-century portal which leads the visitor into a rich interior, ressembling a small version of the Jerónimos Monastery, at Lisbon. The panels of the altarpiece are attributed to the brilliant Grão Vasco (1475-1540) and include a beautiful Annunciation . 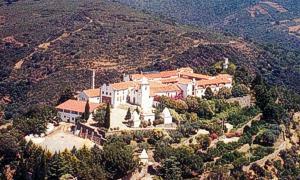 Pousada de Sao Bartolomeu is a modern Pousada overlooking Braganca. It offers 28 rooms, all with private bathrooom, balcony and airconditioning. 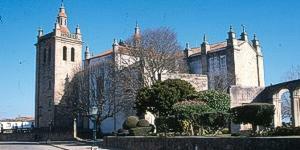 The Braganca Pousada is a comfortable base for experiencing this remote and historic region that time forgot.